New game mode, Gambit. This is a PvEvP activity where teams of four are split into their own PvE instances to take on enemies and collect "motes." 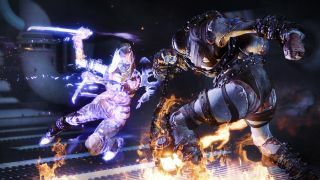 Teams will need to "bank" their mote in order to summon the "Prime Evil" (the big boss you need to beat to win the mode), but the motes can also be used to send powerful enemies to the other team that will prevent that team from being able to bank their motes until they beat the enemy. You can also use the motes to open a portal to the other team and send a player of your team across to attack the other team. New endgame "destination," the Dreaming City. Bungie was sparse on the details, but from what they said, this sounds like an area where there will be things for players to do in addition to a new Raid (hopefully that means "endgame activities for 3-person fireteams"). New menu tabs will be added, Collections and Triumphs. The former will let players browse through all the weapons, armors, exotics, ghosts, vehicles, and vanity items they have collected thus far, and also be able to see what they have to do to collect the ones they don't have. The latter is similar to the "Book of Triumphs" that were added to Destiny towards the end of its life. This will track a variety of in-game achievements, but also has a "Lore" section that will let players look up/read some lore details they've encountered in the world. Three expansions that will drop Winter 2018 ("Black Armory"), Spring 2019 ("Joker's Wild"), and Summer 2019 ("Penumbra"). 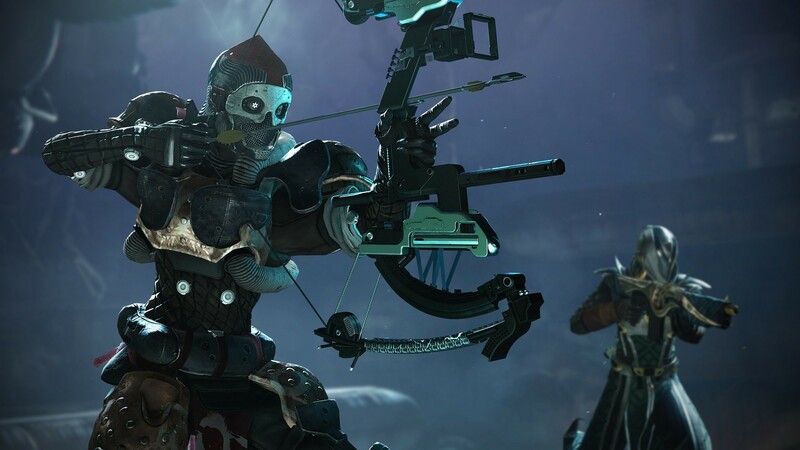 Bungie made a point of saying these will be different than the current expansions ("Curse of Osiris" and "Warmind") in that they will focus more on providing new activities, endgame content, and gear. It's really not clear what the distinction is at this point, but it kind of sounds like Bungie will be skipping any kind of "mini-campaigns" and instead dive in on "here's a bunch of new stuff to do." More details will be provided by Bungie tomorrow when they post their weekly "This Week at Bungie" column. I wanted to take a little time to think on everything that Bungie discussed/revealed yesterday before making this post, as I have a lot of mixed feelings on Destiny 2. One of the issues I brought up in our Co-Op Review of the game is that Bungie dictates the endgame (the Raid) to players, and there's not a lot of variety or options outside of that. 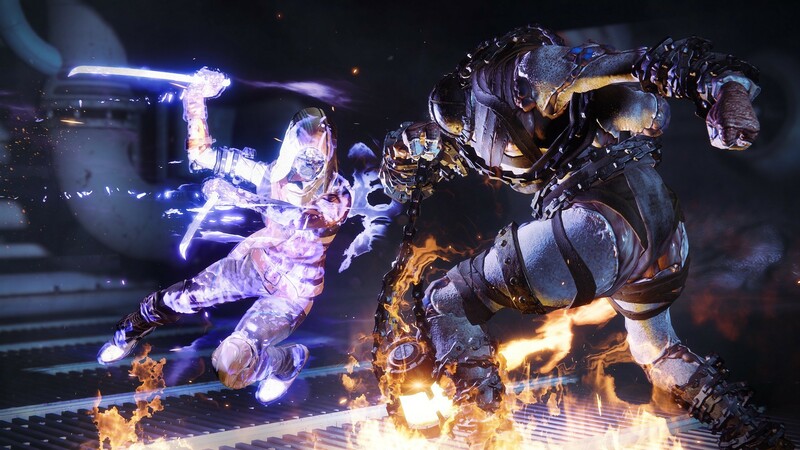 The game was streamlined to such a degree and devoid of much of the content that was (eventually) added to Destiny and made it compelling, that the sequel lacked a compelling reason to keep returning week after week. 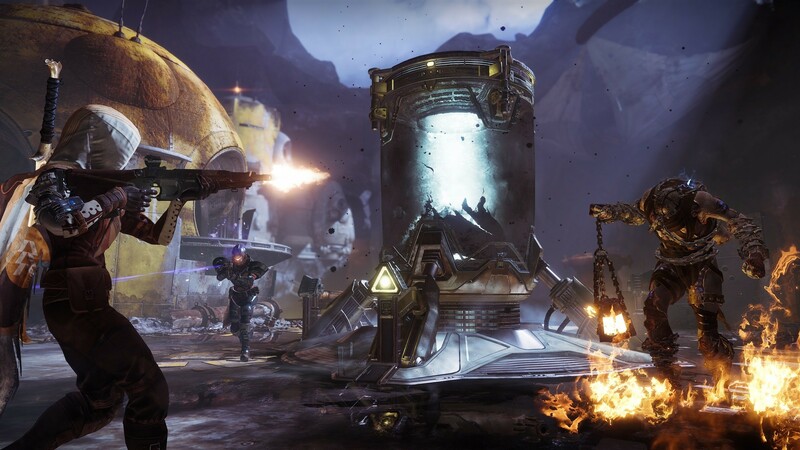 While the "Curse of Osiris" and "Warmind" expansions added a couple new areas, there still wasn't anything new like the Prison of Elders from the "House of Wolves" expansion for Destiny to give players non-Raid endgame activities to enjoy (the "Escalation" protocol in "Warmind" really doesn't count). To me, what Destiny 2 lacks in its current state is the ability to hop in and choose some activity with which I can engage alone, with strangers, or a couple friends (not 6), and will provide me with a reward I desire and/or adds to my investment in my character in some meaningful (to me) way. During the stream yesterday, Bungie showed off the usual things I've come to expect from any expansion at this point (i.e., new location, new weapons/armor), and the things I'd hope would be a part of bigger expansions (i.e., new-ish enemies, and new game modes). The one thing I didn't expect was for them to, at least in appearances, address my biggest complaint with Destiny 2 with the "Collections" and "Triumphs" menu items. These two additions are exactly what I was talking about when I discussed Bungie dictating the endgame. By letting me see what there is to do in the world of Destiny 2 and then deciding "ok, let me just spend the next hour knocking out this one achievement," I can hop into the game whenever I want and feel like there's something to do other than the Raid. 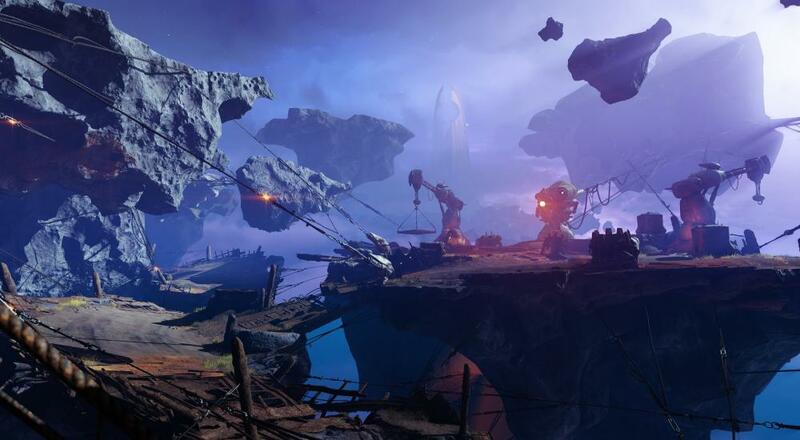 There are still some questions in the air with all of this, like what does the new weapon system entail exactly and what can you do in the Dreaming City, but I am, for now, hopeful and eager to see where all of this goes. 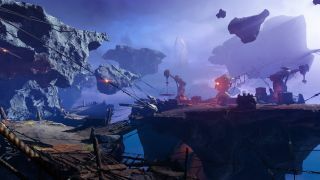 Destiny 2: Forsaken will arrive on the PC, PlayStation 4, and Xbox One on September 4. 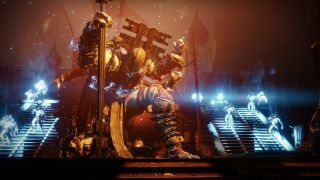 The stand-alone expansion, Forsaken, will cost $40 and, it's worth noting, requires players to own all content currently available for Destiny 2 (i.e., base game, "Curse of Osiris", and "Warmind"). Bungie stated in a Tweet that there will be additional purchase options made available closer to the September 4 release date that will let players buy all that content, presumably at a reduced rate. 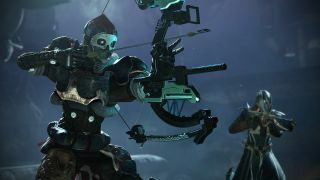 If you want the Forsaken expansion and all of the content that will be added via the three seasonal expansions, then you'll need to get the $70 version that includes Forsaken and the Annual Pass. If you really love Bungie and trust them to deliver on everything, then there's an $80 version of that package that also includes some exclusive digital goodies.